biggest force in the expansion of agriculture." Time.com. "Will We Still Eat Meat?" 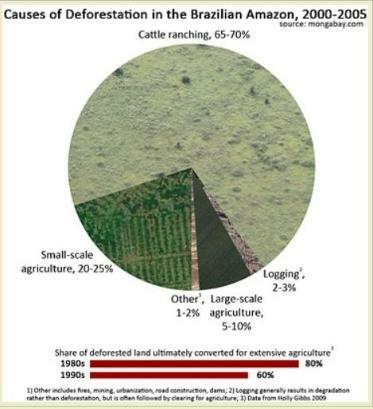 where some 70 per cent of former forests in the Amazon have been turned over to grazing." every minute, much of it to create more room for farmed animals.